Attic conversions are a great idea for homeowners who want more living space but are unable to perform an actual extension because of logistic or financial reasons. They provide you with the opportunity to make the most out of space you already have and can be the perfect space for your needs. 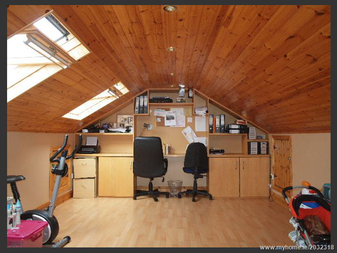 But attic conversions are complex and for the average do-it-yourselfer, can take weeks and many headaches to complete. Whether its an extra bedroom, family room, small apartment, home office, playroom, or that one-of-a-kind gym, My Handyman OnDemand can create it for you, stress- and hassle-free.